Just got back from this annual event and thought I would briefly summarise my experiences and thoughts. Well the sessions are mainly about EU Structural funds or as they are generally known now as ESIF. The trouble was for this year we are right at the end of one period and right at the beginning of the next period. The new funding period 2014-2020 offers much promise but it hasn’t started to deliver yet – so there was much talk about what will/might/should happen. The promise for cities is that the new regulations force member states and regions to spend at least 5% of the funds on Sustainable Urban Development. The EC would like that to be through devolved instruments. This seems to have gained real buy in in some countries such as Poland, which has the most EU funds, and where they are actively pursuing the development of Integrated Territorial investments (delegated sub programmes ) which allow for more local level decision making. Other countries such as England are much more reluctant to trust cities and LEPs and are proposing watered down hybrid solutions. But the picture is still emerging. The cities are happy to have this potential extra power and in a discussion in the European Parliament it was proposed by Albert Bore, the Leader of Birmingham City Council that the EP Regional Committee and the COTER Committee of the Committee of the Regions set up a joint group to see how these new provisions are implemented. A new network of the larger cities has also been set up by the EC to jointly review this progress. The Cities like have direct dialog with the EC. There is however a slight danger that the cities obsess with this and forget about the wider picture and funding opportunities and policy opportunities elsewhere in the EU’s budget. The wider agenda is that outside of ESIF there are many other funds that cities can target and many important policy areas. The EU is working on an Urban Agenda and hopefully it will have as much impact outside of DG Regio and ESIF as within it. 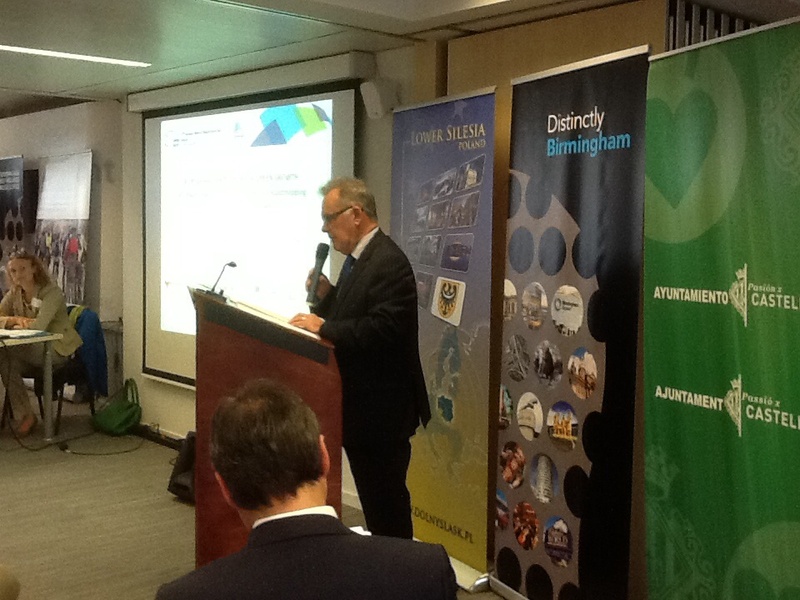 A key policy area was touched on by Albert Bore in a speech at the Greater Birmingham’s Brussels’ office about how cities can respond to climate change and grow a green economy. he stressed the need for action and outlined Birmingham’s plans – borrowing Ban Ki Moon’s phrase – ‘there is no Planet B’. There are significant resources that will be available to help in the transition of our cities to a low carbon future. Some under ESIF- some under other programmes. Hopefully the Urban Agenda will strengthen the role of cities in the ESIF fund as well as the other funds. Whilst for instance Greater Birmingham has access to 35m euro under ESIF for this agenda – there are other funds such as under Horizon 2020 that can help. On an academic front there was a brilliant session put on by the Regional Studies Association about the need for a new industrial policy for the EU respecting the need for a sustainable trajectory. Really important contributions from Frank Geels (University of Manchester) on the need to focus on how we plot the transition to a low carbon economy and the importance of focussing on cities for place based innovation…importantly he made the point that we need to leave 2/3 of known fossil fuels in the ground to keep to the 2 degree target; from Tomas Sauer on the difficulties that local authorities had on owning and implementing this transition; from Karl Aiginger on the need for Europe to pursue a high road growth path (high value added/ high skills) as there will always be lower cost competitors. David Bailey focussed largely on the automotive sector talked about the potential for reshoring; but stressing it won’t be the same jobs that come back that went. He emphasised the point that if the UK’s wanted to stay globally competitive in the Automotive market it was ‘bonkers’ to be talking of leaving the EU. The following discussion was also interesting, focussed on whether a successful EU industrial policy would have positive or negative implications for regional cohesion. There was no definitive answer! There is always a social side to these events and as a result of the opening reception I got to see the inside of the Art Deco BoZar museum – a lovely space; as a result of the URBACT soirée (thanks to Alison Partridge for the invite) I got to see an interesting ‘pepiniere’..incubator for small firms called L’Ateliers des Tanneurs. In some down time I also got to see Maison Horta – a joyous art nouveau experience in the house he built. I missed more workshops than I saw and so I may take a look at some of the workshops that were recorded. The link is here and the recordings will be ready shortly. 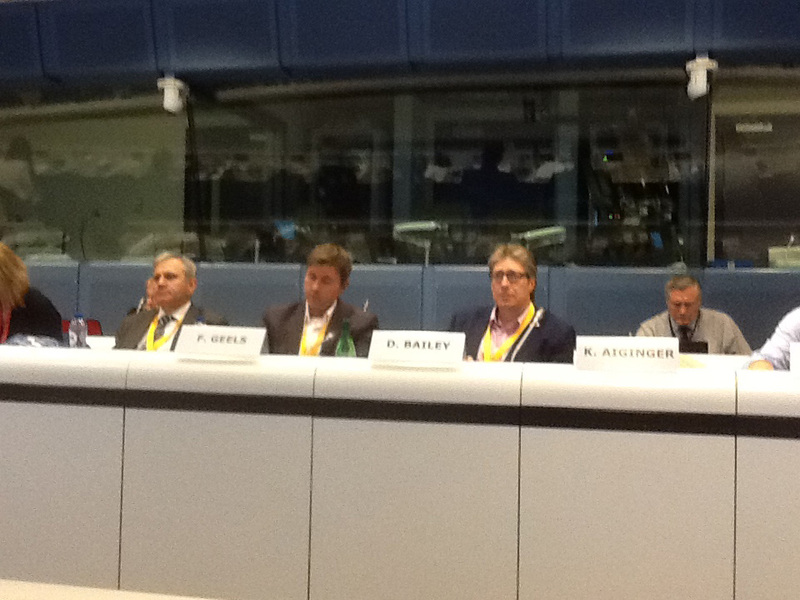 Already looking forward to EUOpenDays2015!